C S LewisAlthough the characters in this story are different from Bunyans, Lewis usesallegory in the same compelling way. The pilgrim steers a course between theCity of Claptrap and the tableland of the High Anglicans. 256 pages, fromFount. Bunyan's Pilgrim's Progress is used as a template to show up the bywaters of faith and spiritual cul de sacs of the modern church in Lewis's allegory. 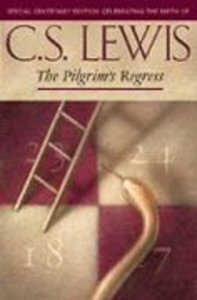 One of C. S. Lewis' works of fiction, or more specifically allegory, this book is clearly modelled upon Bunyan's Pilgrim's Progress, as Lewis cleverly satirizes different sections of the Church. Written within a year of Lewis' conversion, it characterises the various theological and temperamental leanings of the time. This brilliant and biting allegory has lost none of its freshness and theological profundity, as the pilgrims pass the City of Claptrap, the tableland of the High Anglicans and the far-off marsh of the Theosophists. As ever, Lewis says memorably in brief what would otherwise have demanded a full-length philosophy of religion.